Weight-based multi-objective optimization requires assigning appropriate weights using a weight strategy to each of the objectives such that an overall optimal solution can be obtained with a search algorithm. Choosing weights using an appropriate weight strategy has a huge impact on the obtained solutions and thus warrants the need to seek the best weight strategy. In this paper, we propose a new weight strategy called Uniformly Distributed Weights (UDW), which generates weights from uniform distribution, while satisfying a set of user-defined constraints among various cost and effectiveness measures. We compare UDW with two commonly used weight strategies, i.e., Fixed Weights (FW) and Randomly-Assigned Weights (RAW), based on five cost/effectiveness measures for an industrial problem of test minimization defined in the context of Video Conferencing System Product Line developed by Cisco Systems. 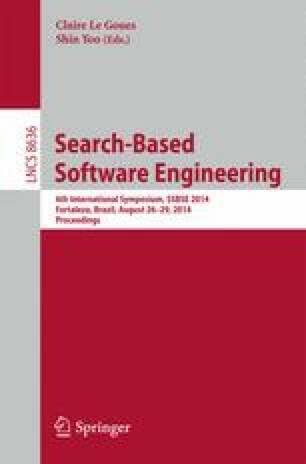 We empirically evaluate the performance of UDW, FW, and RAW in conjunction with four search algorithms ((1+1) Evolutionary Algorithm (EA), Genetic Algorithm, Alternating Variable Method, and Random Search) using the industrial case study and 500 artificial problems of varying complexity. Results show that UDW along with (1+1) EA achieves the best performance among the other combinations of weight strategies and algorithms.